DAULTON, Donna 'Kathy' (nee Baker), age 68, passed away peacefully, with dignity and grace at her home on Friday April 12, 2019 surrounded by her loved ones. She fought a courageous battle for 4 1/2 months but in the end she was only failed by her body, not her will. She is survived by her husband Richard Daulton, daughter Shannon Wilson Emmerich, son Shane (Heather) Wilson, sister Carolyn (Tom) Sutphin, brother Russ (Denise) Baker, sister Marlene (Gary) Sims. World's greatest grandmother to Celia and Olivia Wilson, "Nana's" pride and joy. Fun, nurturing and sassy aunt to Erin Crowley, Scott (Brittany) Sutphin, Heather Sims, Cory (Emily) Sims, Jennifer and Bradley Baker. This journey would not have been possible without the tremendous strength and dedication from all of the healthcare professionals involved in her care. For that, we are eternally grateful. "Kathy" took pride in not only her daughter Shannon being a nurse but also her nieces Heather and Jennifer who were instrumental through it all. Visitation at MEYER FUNERAL HOME, 5864 Bridgetown Rd., TUESDAY from 5:00 PM to 8:00 PM and WEDNESDAY from 10:00 AM until time of Funeral Service at 11:00 AM. In lieu of flowers, memorials may be made to Crossroads Hospice & Palliative Care, 4380 Glendale Milford Rd, Cincinnati, OH 45242 or to the American Diabetes Assoc., 4555 Lake Forest Dr # 396, Blue Ash, OH 45242. www.bjmeyer.com. Cathy I will miss seeing your smiling face at the family reunions. It won't be the same without you. I worked with Donna for a few years ahe was always the best dressed funniest and sweetest lady I have ever had the pleasure to have met and work with. My love and prayers to all the family and friends. Donna and I worked together for many years, she always had a great sense of humor and a very hard worker. Our hearts go out to her family. 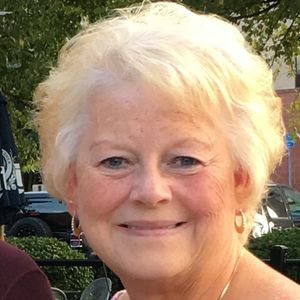 Life Stories provides friends and families a forum to post their favorite stories and memories of Donna 'Kathy' Daulton ensuring the precious experiences are never forgotten. Share joyful times, post a photo that captures the moments you cherish, and allow others to reply, relive and remember.